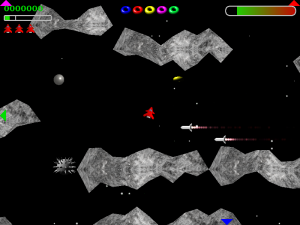 A new release of my Lunar Lander game, finally! This version features improved sound effects, some new obstacles, and much more polish. Check out the Lunar Lander page!